Montreal mayor Jean Dapreau repeatedly declared that the Games wouldn't cost taxpayers a cent, but his glorious vision soon devolved into a financial disaster, one that would take the people of Quebec almost 20 years to pay off. With the Montreal Summer Games of 1976, Canada hosted the Olympics for the first time. Montreal's flamboyant mayor, Jean Drapeau, worked non-stop during the bidding process to persuade the IOC that his city was the one for these Games. His lobbying paid off, as Montreal emerged as the underdog winner of the bidding process, beating out higher-profile candidates like Moscow and Los Angeles. Drapeau believed that hosting these Games would bring Montreal to the world, and vice versa, in a repeat of the Expo 67 phenomenon of Expo 67. To Drapeau, there was no reason a similar international event couldn't be pulled off without extravagant costs. In convincing his supporters, he repeatedly declared that the Games wouldn't cost taxpayers a cent. But his glorious vision soon devolved into a financial disaster, one that would take the people of Quebec almost 20 years to pay off. For a start, Drapeau and his Olympic organizers were way off base when they costed things out. Cost estimates rose from $124 million to $310 million to an incredible $1.5 billion. The Olympic Stadium was as unique in cost as it was in architecture, coming in at $485 million. At least the roof went on the Olympic stadium in Athens - the roof would go unfinished in Montreal until 1987. And in the wake of the kidnapping and massacre of Israeli team members at the 1972 Munich Games, $100 million was spent on huge numbers of heavily armed military and police (almost 16,000 officers). It was uncovered later that Montreal's costs escalated so dramatically for several reasons: planning errors and misjudgments, strikes, slowdowns, and suspected widespread corruption. Quebecers were left holding a $304-million tab. Montreal was also the victim of the first of the big Olympic boycotts. During previous Olympic years, African nations successfully pressured the International Olympic Committee to bar South Africa and Rhodesia for their racist political systems. This time, Tanzanian leader Julius Nyerere rallied more than 20 African nations to boycott the 1976 Games after the IOC wouldn't exclude New Zealand from the Olympics. New Zealand seems like an odd target, but its famous "All Blacks" rugby team had toured South Africa. The IOC denied the Africans' request because rugby wasn't an Olympic sport, and despite negotiations, the African states made good on their threat. Also withdrawing was Taiwan because Canada (under the government of Pierre Elliot Trudeau) had refused to recognize it as an independent nation. The absence of the African nations was most acutely felt in track's middle and long distance events. Suddenly, the nationalities of the medallists in events like the 1,500 metres and the steeplechase looked like they did decades earlier -- New Zealanders, Swedes and Finns. The big winner was Finland's Lasse Viren who repeated his sweep of the 5,000m and 10,000m from 1972. Montreal's Olympic Stadium, or the Big "O" as it's known to Canadians (Montrealers ruefully called it the Big "Owe"), welcomed 70,000 fans for the Opening Ceremony on July 17th Because of the boycott only 92 nations marched into the stadium (of course, this number was significantly down from the 121 countries that participated in Munich). Queen Elizabeth officially opened the Olympics. The torch was brought in by two 15-year-olds, Sandra Henderson, of English heritage, and Stephane Prefontaine of French heritage. This was to signify Canada's two distinct cultures. Standing 1.53 metres tall and weighing only 40 kilograms, Romania's Nadia Comaneci cast a spell over 500 million television viewers during the Montreal Games. Despite being only 14 years old, the little dark-haired girl with dark serious eyes already had a solid experience of gymnastics, having trained hard for at least three hours every day since the age of six. Awarded three gold medals and one silver at the European Championships only a few months before the Games, her strength and control made her a definite contender in Montreal. Comaneci went on to enchant the public, and more so, the judges, who made Olympic history by awarding seven perfect 10.0s for her performance - a maximum score that had never before been given. On the uneven parallel bars, her performance was enthralling, ending with a potentially-dangerous dismount consisting of a backward somersault with a half turn. She was given 20 out of 20 - a first perfect score for this apparatus. Yet if dangerous manoeuvres had the crowd on the edge of their seats, her team certainly did not notice. Romanian team officials were so confident of her performances that they did not bother to look at the scoreboard. Comaneci even managed to send the computer haywire since it had not been programmed to display such scores. After her performance on the bars, Comaneci recomposed herself to prepare for a more difficult event, the balance beam. The beam was only 10 centimetres wide, but Comaneci gave the impression that she was going for a stroll. Defying the laws of gravity, she received a score of 19.95. The two remaining pieces of apparatus proved less favourable, but at this stage it mattered little. Fourth place in the vault, the first event of the day, and a bronze in the floor exercise to finish off were enough to hand her the all-around title. Her overall score of 79.275 out of a possible 80 left her with an impressive winning margin. Her opponents were left to fight for the remaining medals. Nelli Kim of the Soviet Union, despite two of her own 10.0s, was only second overall, and her compatriot, Ludmila Turischeva, had to settle for the bronze. Both Soviet competitors were unable to hide their disappointment, and tears were shed following the competition. World records were broken in 21 of the 26 swimming events. The American men's team won 12 of 13 events, and the East German women won 11 of 13. John Naber led the U.S. with four gold and one silver, matching the tally of East German star Kornelia Ender. Everyone was used to American exploits in swimming, but there was something fishy about the performance of the East Germans, a team that hadn't won a single gold medal in 1972. Suspicions that they were taking steroids and other performance-enhancing drugs turned out to be well-founded: it was later revealed that the swimmers were subject to an intensive doping program. Despite that revelation, though, all the athletes kept their medals. Had it not been for the doped-up East Germans, the Canadian women's swim team would have been one of the biggest stories in Montreal. Nonetheless, they still turned in the best pool performance Canada has ever seen (with the possible exception of the men's team at the 1984 Games in Los Angeles). On the first day of competition, the Canadians won their first medal in the pool in the women's 4X100m medley relay. Canada's women -- Wendy Hogg, Robin Corsiglia, Susan Sloan, and relay specialist Anne Jardin -- won bronze behind the world record time of the East Germans and silver medallist Americans. Corsiglia was the youngest medallist at these Games at 13 years, 341 days. Individually, Nancy Garapick was the leader of the Canadians' powerhouse swimming team. She won bronze in both the 100m and 200m backstroke, losing to none other than two pharmaceutically-enhanced East Germans. The Canadian women also grabbed two medals in the 400m individual medley: silver for Cheryl Gibson and bronze for Becky Smith. All told, Canada's female swimmers won seven medals. Canada became the first host nation to fail to win a gold medal, but its 11 medals (five silver and six bronze) more than doubled the total of the previous two Olympic Games. 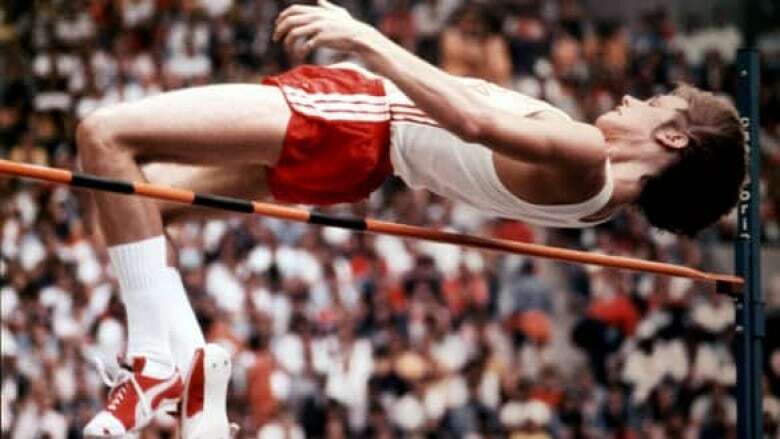 The most iconic came from unheralded Vancouver native Greg Joy, who exceeded expectations by taking silver in the high jump. Joy outjumped the heavy favourite and world champion, Dwight Stones of the U.S., but Poland's Jacek Wszola prevailed for the gold. Canadians savoured that medal as if it really was gold, while other nations drank in some brilliant performances by their finest. American brothers Michael and Leon Spinks won boxing gold in their respectively weight classes: 20-year-old Michael in middleweight and Leon in light-heavywight title. Levan Tediatchvili of the Soviet Union kept his unbeaten string dating back to 1971 alive and won gold in light-heavyweight freestyle wrestling. Four years earlier, he won middleweight gold. Miklos Nemeth of Hungary set a new world record in winning the javelin -- 28 years after his father, Imre, won the hammer gold in London. Alberto Juantorena of Cuba turned a rare double, winning both the 400m and 800m, setting a new world record in the former. One of the most popular amateur athletes in the U.S., Bruce Jenner, convincingly won the decathlon. Vasily Alexeev captivated the globe with a world-record hoist in the super-heavyweight weightlifting event.